Make the right decisions - get the right results! Want to be able to think clearly, act swiftly, and trust your judgment? To become the decision-maker that others admire ? in just MINUTES? This astounding audio recording will re-energize your mind and help you become the clear-thinking person who always knows what to do! The Become Totally Decisive ? NOW! 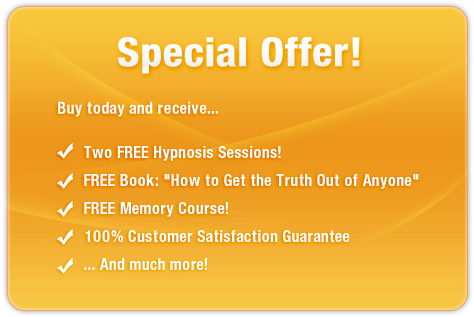 session uses the latest in subliminal technology to deliver thousands of positive, motivational, subliminal messages directly to your subconscious ? helping you unleash the natural high-flier within! And it?s 100% risk-free! If you?re not completely satisfied with your decisive abilities, let us know within 90 days and we?ll refund your order in full. Don?t let decisions scare you! Purchase Become Totally Decisive ? NOW! TODAY and reap the benefits of this incredible technology immediately! 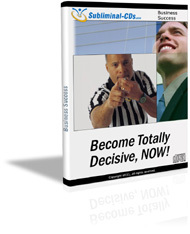 I am the decision maker!